When the renowned MGM Grand Hotel and Casino opened in Las Vegas in 1993, it was the largest hotel in the world. While it no longer holds that distinction, the hotel resort complex is still one of the world’s largest and figures as the largest complex of its kind in the United States. Among the MGM Grand’s vast offerings are the largest casino in Clark County, an impressive 20 restaurants, a collection of lively bars, and numerous shops. You’ll also find a full service spa, five outdoor pools, a convention center, an arena that can seat up to 16,800 people, several show venues, and a wedding chapel at the MGM Grand Hotel and Casino. This place pretty much has it all. The expansive facilities at the MGM Grand Hotel and Casino are enough to impress. Things only get better when you also consider the hotel’s location and its variety of guest units. You can find the MGM Grand Hotel and Casino right on the famous Vegas Strip. Essentially, it is in the heart of all the action. In relation to the guest units, the main hotel offers both rooms and suites. Guests can also choose to book a suite at The Signature or a two-story loft at SKYLOFTS. Both The Signature and SKYLOFTS hotels operate semi-independently and are considered to be separate from the main hotel. In general, their accommodations are more exclusive than the main hotel accommodations. Regardless of which room, suite, or loft MGM Grand guests choose to go with, they can expect to enjoy a rewarding Las Vegas lodging experience. These are some of the best accommodations around, offering a mix of style and comfort that is hard to deny. Because there are several different kinds of accommodations at the MGM Grand, the specific amenities vary considerably. Prospective guests are encouraged to consider all of the available units when trying to find their most ideal lodging fit. They are also encouraged to keep an eye out for any special deals. 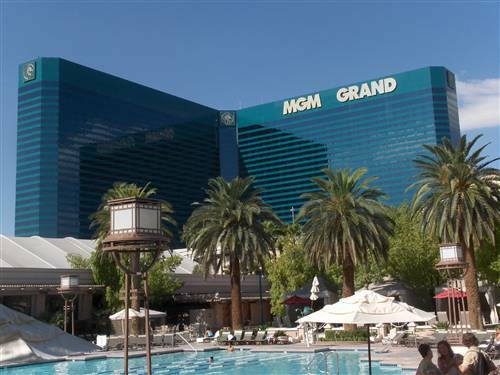 The MGM Grand Hotel and Casino is known to offer enticing lodging packages. At the very least, guests can look to personalize their stays with special upgrades.